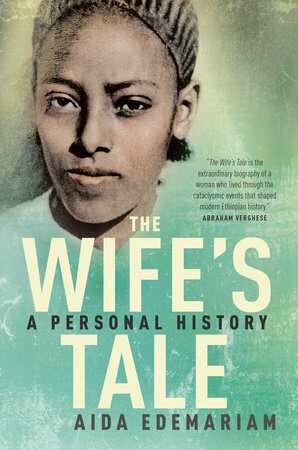 The Wife’s Tale is an uncommon memoir that reads more like an epic, spanning decades of Ethiopia’s rich and tumultuous history, as well as one woman’s journey. It’s written by Aida Edemariam, a Canadian-Ethiopian journalist and the granddaughter of the book’s protagonist, who collected years’ worth of her paternal grandmother’s retelling of her remarkable life. Yetemegnu, born in 1916 in northern Ethiopia, was eight years old when she was married to a man decades older than her, suddenly halting her childhood and launching her into a life of hardship. As the wife of a religious leader, her duty became to serve him and bear children—which she did. Ten of them. Her life is not chronicled by dates but rather by major events and dynamic characters, and Edemariam does a breathtaking job recalling a faraway time and world as if it were just yesterday. The Wife’s Tale echoes Yetemegnu’s life with Ethiopia’s own turbulent history in the 20th century. Her life spans the country’s revolution, civil war, invasions, famine, and disease, all while she goes through her own trials with the deaths of her children, the imprisonment of her husband, and the invasion of her house and land. To have a genuine cultural and historical understanding of the complex history of Yetemegnu’s journey that has not been Westernized is a powerful addition to this memoir. The author’s foray into her family’s past is done with meticulous attention to detail and care for the reader’s introduction to Ethiopia’s history. To know our own history is to know ourselves. Edemariam’s study of her grandmother’s life reveals that while history can often be tangled with sorrows, the rewards lie in the ability to find strength in looking back.